Enrollment at UTA reached a record 38,650 Texas-based students for the spring 2016 semester, a figure that is up 6 percent from a year ago. At a time when most universities see declines in enrollment from fall to spring, UTA’s numbers rose 4.4 percent from fall of 2015 when enrollment was 37,008. The University now has a total of 50,661 degree-seeking students on campus and in online degree programs. That number is projected to climb to 55,000 this year as new sections of online nursing and education degree programs begin throughout the spring and summer. The enrollment report showed the College of Engineering, now the third largest in the state of Texas, increased enrollment 13 percent over the previous spring. The College of Nursing and Health Innovation enrollment grew 16 percent over spring 2015 and is now the largest producer of educated nurses in the state of Texas and the third largest in the nation. 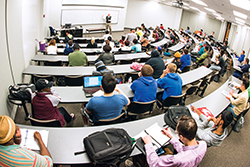 The College of Education also saw healthy growth with a 4 percent increase over spring 2015. As a follow up to UTA’s submission of its draft recommendations on implementing Senate Bill 11, known as “campus carry,” there will be two additional town hall meetings on Tuesday, Feb. 23, open to the campus community and provide feedback on UTA’s implementation plan. The faculty meeting is at 12:30 p.m. and the student meeting is at 2 p.m., both on Feb. 23 in the Lone Star Auditorium at the Maverick Activities Center. The draft recommendations are posted on UTA’s campus carry site at uta.edu/campuscarry along with background information and FAQs. An online survey is available at uta.edu/campuscarry for those who cannot attend an open meeting but wish to submit their thoughts and concerns. The College of Business is among the top 50 best business schools for veterans in the United States, according to rankings released Monday by Military Times. UTA serves more than 3,000 student veterans or dependents of military veterans among its more than 50,000 students. UTA placed No. 43 on the list of 77 institutions recognized for their commitment to providing opportunities to America’s veterans. Military Times evaluated 180 institutions based on university culture, student support for military veterans, academic outcomes, quality academic policies, cost, and financial aid when conducting and scoring the fourth annual Best for Vets: Business Schools survey. Read more about the Best for Vets recognition. Tickets are still available to see political strategist and commentator Donna Brazile at the next Maverick Speakers Series event. She will discuss "Politics and Beyond" at 7:30 p.m. Thursday, Feb. 25, at Texas Hall. A question-and-answer session will follow. 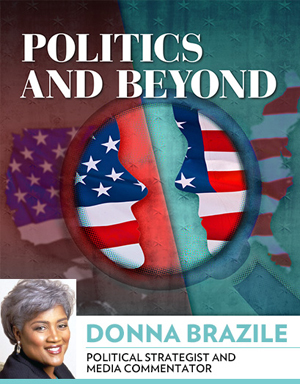 Brazile is an adjunct professor, author, syndicated columnist, and vice chair of voter registration and participation for the Democratic National Committee. Her work as campaign manager for Al Gore made her the first African-American woman to manage a presidential campaign. Her many accolades include the Congressional Black Caucus Foundation’s highest award for political achievement. General admission is free, but tickets are required. Preferred ticket packages are available and include reserved seating, parking, and more. For all these ticket options, go to utatickets.com. Tickets for "Gombe and Beyond: An Evening with Dr. Jane Goodall" will be available Tuesday, March 1. Goodall will speak at 7:30 p.m. Thursday, March 31, at College Park Center. Tickets to a private VIP dinner with Goodall benefit the President’s Fund for Excellence at UTA. The Career Development Center needs more than 125 volunteers to help make the Spring Job Fair a success. The Job Fair is from 10 a.m.-3 p.m. Tuesday, March 1, at the Maverick Activities Center. Choose a 1.5-hour shift or indicate your availability between 7 a.m. and 4 p.m. Tasks include set-up, clean-up, carrying employer materials, escorting employers to their booths, and staffing the student check-in tables. 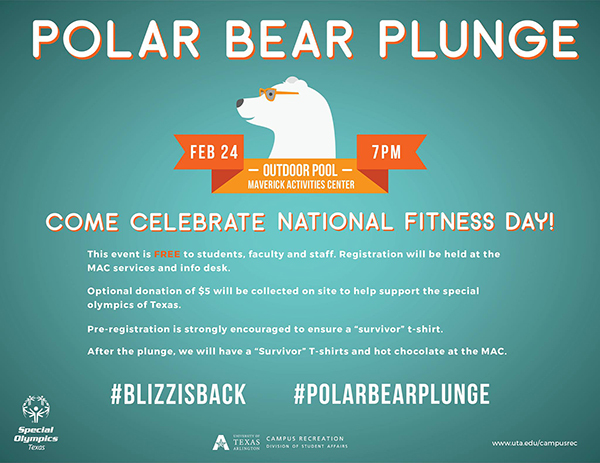 Register by 5 p.m., Wednesday, Feb. 24. For questions, call 817-272-2932 or email Alissa Anderson at alissa.anderson@uta.edu. The Maverick Parking Garage will be temporarily closed for maintenance and repairs from 7 a.m. Saturday, Feb. 20, until 7 a.m. Monday, Feb. 22. Maintenance and repairs will include a thorough cleaning along with lighting and signage upgrades. For questions, call the Parking and Transportation Office at 817-272-3907. The Arlington Regional Data Center will undergo maintenance on Saturday, Feb. 27, to continue stabilizing UTA’s services in the event of a power disruption. As a result, High Performance Computing and High Energy Physics services will be temporarily unavailable. Other services may be temporarily interrupted. In the event of a service interruption, you will be notified through the IT status page. Subscribe to the IT Status list to receive scheduled maintenance notifications. 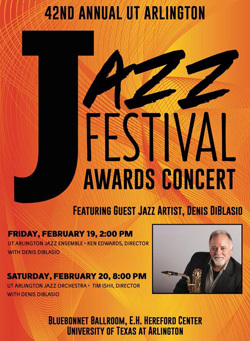 International jazz performer Denis DiBlasio headlines the annual UTA Jazz Festival this weekend. DiBlasio is an international clinician and performer, a baritone saxophonist, a flautist, educator, composer, and arranger. He serves as executive director of the Maynard Ferguson Institute of Jazz and head of jazz and composition programs at Rowan University in Glassboro, N.J. He will perform with the UTA Jazz Ensemble with Ken Edwards, adjunct instructor of trumpet, directing at 2 p.m. Friday, Feb. 19. The UTA Jazz Orchestra joins DiBlasio with Tim Ishi directing at 8 p.m. Saturday, Feb. 20. Ishi is an associate professor of saxophone and coordinator for the Jazz Studies program. Both concerts are in the Bluebonnet Ballroom of the E.H. Hereford University Center. Tickets are $9 for the general public and $6 for students and seniors. 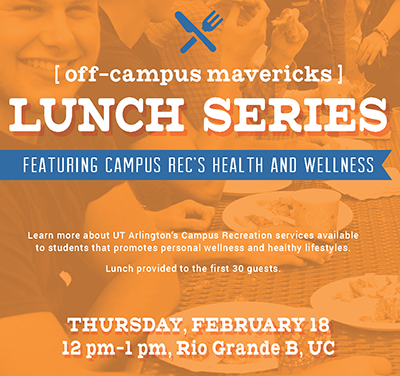 Off-Campus Mavericks Lunch Series Free. 11:45 a.m.-1 p.m., Rio Grande Ballroom, E.H. Hereford University Center. Off-Campus Mavericks. 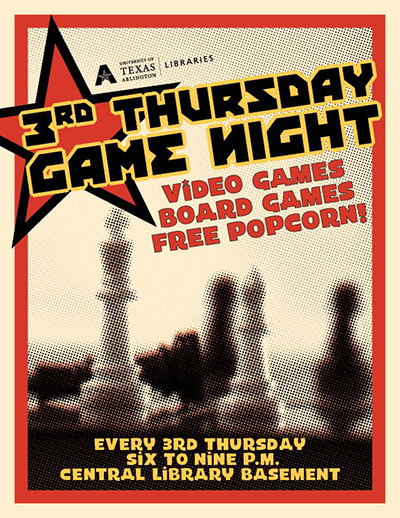 Third Thursday Game Night Free. 6-9 p.m., basement, Central Library. UTA Libraries. 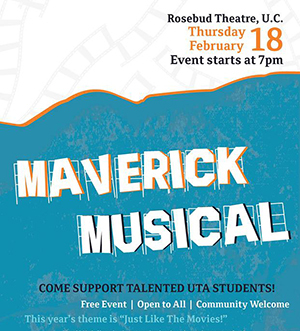 Maverick Musical Student teams perform Broadway-style productions with singing, dancing, stepping, strolling, instrumentals, and other performance aspects in this unique competition. Cash awards for top three acts. 7 p.m., Rosebud Theatre, E.H. Hereford University Center. EXCEL Campus Activities. SAI Alumni Recital Former members of the Sigma Alpha Iota music fraternity perform. Free. 7:30 p.m., Irons Recital Hall, Fine Arts Building. Music. Baseball: UTA Tournament Mavericks vs. Oklahoma State, 11 a.m.; vs. Stephen F. Austin, 2:30 p.m. Tickets $5 general public, $3 students. Clay Gould Ballpark. Also, vs. Oklahoma State, 2:30 p.m. Saturday, Feb. 20, and vs. Stephen F. Austin, 2:30 p.m. Sunday, Feb. 21. Athletics. Women's Tennis Lady Mavs vs. Missouri State. Free. 2 p.m., UTA Tennis Center. Athletics. Softball: Maverick Invitational Mavericks vs. Princeton, 3:30 p.m.; vs. South Dakota State, 6 p.m. Tickets $5-7 general public, $3 students. Allan Saxe Field. Also, vs. Princeton, 11 a.m., and vs. South Dakota State, 1:30 p.m. Saturday, Feb. 20; and vs. Princeton, 9 a.m. Sunday, Feb. 21. Athletics. Friday Night Film: 'The Good Dinosaur' Rated PG. Free popcorn. Concessions for sale. $2, $2.50 with credit card. 8 p.m., Rosebud Theatre, E.H. Hereford University Center. EXCEL Campus Activities. Guest Double Bass Recital Jeff Bradetich performs. Free. 7:30 p.m., Irons Recital Hall, Fine Arts Building. Music. Afternoon Showcase Free. Noon-2 p.m., Palo Duro Lounge, E.H. Hereford University Center. EXCEL Campus Activities. 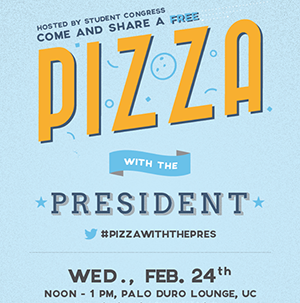 Pizza with the President Join President Vistasp Karbhari for lunch, remarks, and a question-and-answer session. Free. Noon-1 p.m., Palo Duro Lounge, E.H. Hereford University Center. Office of the President. Men's Tennis Mavericks vs. Incarnate Word. Free. 2 p.m., UTA Tennis Center. Athletics. Opera Performance of Johann Strauss' 'Die Fledermaus' A joint production of the music and theatre arts departments. Tickets $12 general public, $9 students, seniors, faculty, staff. 8 p.m., Irons Recital Hall, Fine Arts Building. Also, 2:30 p.m. Sunday, Feb. 28. Music. Dr. Seuss Birthday Party Celebrate beloved children's author Dr. Seuss and the joy of reading. Children can enjoy stories read by UTA students, Dr. Seuss-themed arts and crafts, face painting, puppet shows, and picture opportunities. Free. 11 a.m.-1 p.m., Palo Duro Lounge, E.H. Hereford University Center. Freshmen Leaders On Campus, Leadership Center. Women’s Basketball on ESPN3 Mavericks vs. Arkansas. 3:05 p.m., ESPN3. Athletics. NASA's 21st Annual Powwow Celebration of Native American culture at the scholarship fundraiser. E.H. Hereford University Center. Native American Student Association. Men's Tennis Mavericks vs. Oral Roberts. Free. 2 p.m., UTA Tennis Center. Athletics. Vocal Division Recital Free. Noon, Irons Recital Hall, Fine Arts Building. Music. Italian Conversation: Level I UTA students receive a 10 percent discount. Register online. 6:30-8:30 p.m. Thursdays. Division of Enterprise Development, Continuing Education. 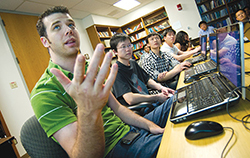 K-12 Focused Technology Series Explore online learning in K-12 and higher education. 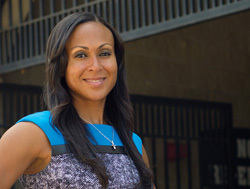 Kayla Parker of Coppell ISD, Feb. 16, noon-1 p.m., Room 111, Trimble Hall. Also, mobile learning and microlearning, Feb. 24; Harrison McCoy, connecting globally with technology, March 1; Makerspaces and UTA FabLab, March 8; and Jim Holland, Google Classroom, Canvas, and anything related to LMS/CMS, March 22 and 29. Education. Building Science Expo “The Growth of North Texas: A Defining Opportunity” includes a building material trade show and is followed by lectures, dinner, and a panel discussion. Register online. Noon-9 p.m., Architecture Building. College of Architecture, Planning and Public Affairs. Focus on Faculty Krystal Beamon, right, associate professor of sociology and anthropology, discusses her research presented in her book, The Enduring Color Line in U.S. Athletics. Noon-1:30 p.m., sixth floor parlor, Central Library. UTA Libraries. Black History Month Lectures Theron Bowman, Arlington deputy city manager, “Lawz N the Hood,” noon-1 p.m., and attorney Jermaine Watson, “The Anatomy of a Lawsuit,” 1-2 p.m., Room 200, Trimble Hall. Also, Cheryl Wattley, UNT Dallas College of Law, “Ada Lois Sipuel Fisher and Her Fight to End Segregation,” noon-1 p.m. Wednesday, Feb. 24, Room 200, Trimble Hall. History, African American Faculty and Staff Association. IRB Mini-Conference Learn about the Institutional Review Board (IRB) submission process, how to conduct ethical research studies with human subjects. See conference schedule and RSVP. 9 a.m.-4:30 p.m., sixth floor, Central Library. Regulatory Services, Research Administration. Psychology Colloquium Craig Neumann of the University of North Texas, “Understanding Psychopathy via Variable- and Person-Centered Approaches.” Noon, Room 110, University Hall. Psychology. Dallas Festival of Ideas Architecture Professor-in-Residence Mark Lamster moderates a panel discussion on “The Physical City.” See the schedule. Free, but registration required. Fair Park, Dallas. Also, Saturday, Feb. 20. Dallas Festival of Ideas, College of Architecture, Planning and Public Affairs. CPR/AED/First Aid Class A single, five-hour class covering the American Red Cross first aid basics, medical and environmental emergencies, adult CPR, and AED use. Registration at MAC Services and Information desk. $50. 10 a.m.-3 p.m., Room 223, Maverick Activities Center. Also, Saturdays, March 5, April 9, May 21. Campus Recreation. Major Exploration Seminar 10 a.m., Room 104, Preston Hall. University College. Film Screening: 'Becoming Bulletproof' A film screening and discussion about disabled actors and representations of people with developmental disabilities. Real-time captioning will be provided for the discussion. The film has open captioning and audio description. For other disability-related accommodations requests, contact Sarah Rose at srose@uta.edu or 817-272-6843. Free pizza. Free. 5 p.m., Room 108, University Hall. Disability Studies. Maverick Major Fair Enjoy a fun atmosphere for learning about degree options and how to declare a major or minor. Enter a drawing for a Maverick Prize Pack. 11 a.m.-1 p.m., Concho Room, E.H. Hereford University Center. University Advising Center. UTARI Lunch and Learn Kimon Valavanis, director of the Unmanned Systems Research Institute at the University of Denver, "Unmanned Aircraft Systems: Challenges in Design for Autonomy and in Circulation Control Wing Based Aircraft." Register online. Shuttle available. Lunch provided. Noon, UTARI, 7300 Jack Newell Blvd. S., Fort Worth. UT Arlington Research Institute. Diversity Week: Support the Trans Community Free. Noon-1 p.m., Concho Room, E.H. Hereford University Center. Multicultural Affairs. Diversity Week: Addressing Islamophobia Amer Ahmed,of University of Massachesetts-Amherst, “Addressing Islamophobia: Dispelling Myths of Break Down Barriers.” 6:30 p.m. Tuesday, March 1, Rosebud Theatre, E.H. Hereford University Center. Multicultural Affairs. Drop or Not to Drop 1:30 p.m. and 2 p.m. Wednesday, March 2, Room 104, Preston Hall. University College. RAD Self Defense Class Self-defense course for female faculty, staff, and students. Register online. Free. 9 a.m.-6 p.m., March 26, April 9., Room 102-B, Maverick Activities Center. UTA Police. Play ball: Drew Charles, top left, and LaShanda Green, right, join fellow Maverick basketball athletes in taking on Louisiana-Lafayette Thursday, Feb. 18, at College Park Center. The women's softball team, middle left, swept the UTA Invitational with a perfect 6-0 record. Joel Kuhnel, bottom left, warms up for the season-opening UTA Tournament against Oklahoma State and Stephen F. Austin this weekend at Clay Gould Ballpark. The softball team wrapped up play in the UTA Invitational with a perfect 6-0 record, scoring 46 runs and knocking 58 base hits during the weekend tourney. The Maverick Invitational starts at 3:30 p.m. Friday, Feb. 19, against Princeton followed by a clash at 6 p.m. South Dakota State. The tourney continues Saturday, Feb. 20, with play against Princeton at 11 a.m. and South Dakota State at 1:30 p.m. The games are at Allan Saxe Field. 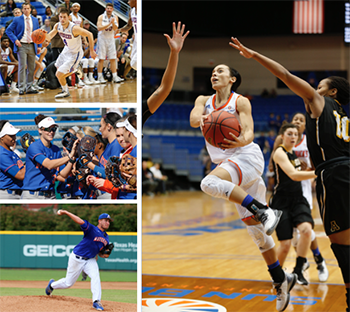 UTA track and field athletes set records with wins during a busy weekend. Craig Lautenslager set a school record in the 5000 meters and came in second-place finish at the Iowa State Classic. Porschea Wilson claimed the women's 60 meter hurdles at Wichita State’s Herm Wilson Invitational. Also at Wichita, both 4x400 meter relay teams picked up victories. In team standings, the women placed second while the men were third. The Sun Belt Conference Championships are Monday-Tuesday, Feb. 22-23, in Birmingham, Ala. The men's basketball team cruised past Appalachian State 91-60 on Saturday night at College Park Center. The Mavericks progressed to 8-5 in Sun Belt play and 17-7 on the season, which is tied for the third-best start in program history. The Mavs remain in fourth place in the Sun Belt standings. UTA's three-game homestand continues with a visit from Louisiana-Lafayette at 7:15 p.m. Thursday, Feb. 18. College of Engineering Night includes a limited COE T-shirt giveaway and touch screen gloves for the first 250 fans. Louisiana-Monroe tips off at 7:15 p.m. Saturday, Feb. 20, which will be broadcast on ESPN3. Health Care Professional Night includes a health fair at 4 p.m., limited T-shirt giveaway from the College of Nursing and Health Innovation. The doubleheader is also Boy Scouts Can Food Drive Night and Fraternity/Sorority Spirit Night. The men's tennis team carried its momentum through to a 5-2 victory over Missouri-Kansas City last Saturday at the UTA Tennis Center. The Mavericks improved to 6-3 on the season. Up next, the Maverick men face Florida Atlantic on Friday, Feb. 19; Florida Gulf Coast on Saturday, Feb. 20; and Central Florida on Sunday, Feb. 21. The women's team improved its home winning streak to 14 matches by sweeping Nevada 4-0 on Saturday at the UTA Tennis Center. The team returns to action on Friday, Feb. 19, against Missouri State at the UTA Tennis Center. The women's basketball team finished strong for a 65-58 victory over Appalachian State on last Saturday. The Lady Mavericks 12-11 overall and 7-6 in Sun Belt Conference play. UTA hosts Louisiana-Lafayette at 11:30 a.m. Thursday, Feb. 18, at College Park Center, along with Maverick Spirit Kids Day with area students. The team plays Louisiana-Monroe at 5 p.m. Saturday, Feb. 20. See the men's basketball story above for more game promotion details. Maverick baseball starts its season with the UTA Tournament Friday-Sunday, Feb. 19-21, at Clay Gould Ballpark. The team faces Oklahoma State at 11 a.m. and Stephen F. Austin at 2:30 p.m. Friday. The Mavs play OSU at 2:30 p.m. Saturday and SFA at 2:30 p.m. Sunday. Road games follow the tournament at Baylor Tuesday, Feb. 23, Louisiana Tech Friday-Sunday, Feb. 26-28, and SFA Tuesday, March 1. Upcoming intramural sports deadlines are indoor soccer, Wednesday, Feb. 17; tennis, Friday, Feb. 19; softball, Wednesday, Feb. 24.